Saturday's storm that hit Moscow claimed a life of one girl, Sergei Sobyanin, the Russian capital's mayor said, Sputnik reported. "According to the updated information, the number of people injured during the storm has risen to 12. Doctors didn't manage to save the girl, who was in extremely critical condition. I express my deep condolences to her parents," the mayor wrote. 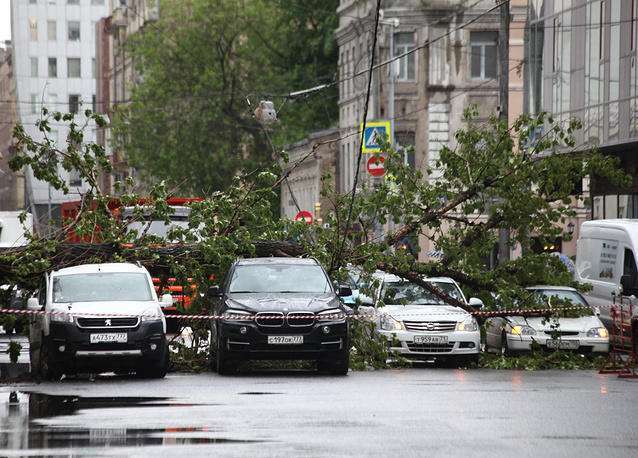 Moscow was hit by a thunderstorm accompanied by strong winds and heavy rain on Saturday afternoon. The storm is set to intensify and reach its peak in the early hours of Sunday. Bad weather has caused train disruptions, dozens of flights have been delayed.